Deposition In A Workers' Compensation Case: What Is It And How To Handle It? Speak to our Los Angeles workplace injuries attorney from the Koszdin, Fields, Sherry & Katz law firm if you were deposed to testify in a workers' comp case or if your employer's insurance company has subpoenaed witnesses to testify in your own case. Deposition In A Workers’ Compensation Case: What Is It And How To Handle It? Home > Blog > Deposition In A Workers’ Compensation Case: What Is It And How To Handle It? On behalf of Koszdin, Fields, Sherry & Katz posted in Workplace injuries on Thursday, July 26, 2018. If the mere thought of a deposition makes your stomach turn, you are not the only one who feels this way. A deposition is a recorded session during which witnesses, including your primary treating doctor, will be subpoenaed to testify and answer various case-related questions under oath. It is not uncommon for insurance companies and judges to depose witnesses when an injured employee is seeking workers’ compensation benefits after a workplace injury or illness. In workers’ comp cases, the employer’s insurance company can depose other employees to testify in these question-and-answer sessions. Whether you are the injured worker seeking workers’ comp benefits or the injured worker’s coworker subpoenaed to testify, it is important that you know what to expect at a deposition. “Contrary to the popular belief, the vast majority of depositions in workers’ comp cases are not as intense and dramatic as often portrayed in films and TV shows,” says our Los Angeles workplace injuries attorney from the Koszdin, Fields, Sherry & Katz law firm. Unless your deposition is being taken by a lawyer was too inspired by the aggressive, hostile, and manipulative lawyers portrayed in the movies, more often than not, lawyers taking a deposition are polite and calm. Where and how are depositions held? While it may seem as if every deposition must take place in a courtroom in front of the judge, it is rarely the case. More often than not, depositions in workers’ compensation cases take place at a law firm. “Why law firm?” you may be wondering. Because more often than not, witnesses in workers’ comp cases are deposed by insurance companies, which is why the deposition will most likely take place at that insurer’s lawyer’s office. Just because a deposition takes place in a conference room at a law firm or at a lawyer’s offices, it does not mean that only a few people will be in attendance during the deposition. This may be a problem for those who get anxious or uncomfortable testifying under oath in front of large groups of people. “Also, do not forget that there will be a court reporter who will be responsible for writing a transcript of the deposition so that it could later be used as evidence,” warns our experienced workplace injuries attorney in Los Angeles. 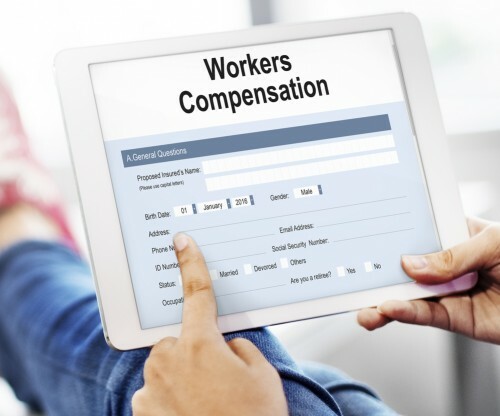 What happens during a worker’ compensation deposition? First and foremost, you will be testifying under oath, which means you should answer each question truthfully, avoid providing false information, avoid withholding evidence, and answer to the best of your knowledge. Lying on purpose during a deposition can make you guilty of perjury. Depending on your role in the case, you will be asked a series of questions about the workers’ compensation case. A primary treating doctor of the injured worker will be asked questions about the severity of the worker’s injury or illness, medical treatment required for recovery, his or her ability to return to work, and other questions related to the injured employee’s medical condition. The injured employee’s coworkers, meanwhile, will be asked about the accident that resulted in the injury, about the injured worker’s behavior and habits prior to the accident, his prior injuries or accidents in the workplace, if any, the worker’s actual job duties, among many other things. It is highly advised that you speak to our Los Angeles workplace injuries attorney from the Koszdin, Fields, Sherry & Katz law firm if you were deposed to testify in a workers’ comp case or if your employer’s insurance company has subpoenaed witnesses to testify in your own case. Call our offices at 818-812-5639 or (toll-free) 800-747-3447 or fill out this contact form for a free case evaluation. Workplace injuries: workers' compensation or a lawsuit?